Manufacturer of a wide range of products which include pvr cinemas - e-gift card - e-gift voucher and pvr cinemas - gift card - gift voucher. A lovely movie followed by snacks and beverages at the Candy Bar sounds absolutely divine. Purchase a gift card from PVR Cinemas and make this lovely experience your gift to your favorite couple on their anniversary. PVR Cinemas opened its first multiplex theater in 1995, and since then, has gone on to make waves in all major Indian metros. It s easy to book movie tickets at the PVR Cinemas website and also at automated ticket kiosks at the theatre. People no longer have to wait in long lines to book tickets for the movie of their choice. PVR Cinemas has revolutionized the way Indian audiences appreciate the movie experience. The plush leather seats, snacks delivered at one s seat, plush waiting rooms and automated services makes movies at PVR Cinemas a grand experience. 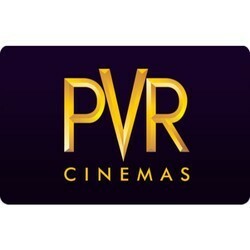 A PVR Cinemas gift card can also be used to book movie tickets online. 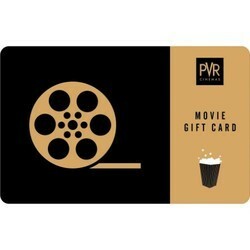 Looking for PVR Cinemas - Gift Cards - Gift Vouchers ?